Matthew Terry Took the Road Less Traveled to the Top of DUI Defense, and He’s Nowhere Near Finished Climbing. Something about Matthew Terry is likable from the very start. He’s working from home on the day of our interview, since he was in his office until 10:30 the previous evening. He lets me know that putting in long hours at the office is not an aberration for him; it has been the case since he was in law school. Terry’s sort of rough and tumble childhood makes him pretty likable too. Coming from a “great middle class family in the Bay area” as a kid Matthew found his share of trouble. His mischievous nature didn’t go unnoticed by law enforcement, and at just thirteen years old, Terry was introduced to courtrooms for the first time-as a defendant. He’d logged a couple of stints in various juvenile halls, and wound up a ward of the court, under the custody of the State of California. “As I sat in a cell in Juvenile Hall in Oakland, becoming a trial lawyer was more of an aspiration for me than playing wide receiver for the Raiders. Sitting in court back then, I was absolutely fascinated with the few passionate and magically articulate lawyers on both sides of the room. I learned at a very young age how essential the ability to advocate for yourself truly is, and how few people can do it well. To now be in the position to advocate effectively for another human being, gives me a satisfaction beyond words,” Terry says. “I relate to my clients. I see someone in a situation they never thought they’d be in; a fish out of water. I’ve been there. Good people end up in the criminal justice system. I know what they’re going through. I’ve been on that side of the desk, I know how terrifying it is, and the vast majority of my clients (normally responsible, hard working professionals) have learned their lesson by the time they walk through my doors with a DUI,” he says. I could ever make it this far. I took my high school proficiency exam when I was 15, in a group home in Oakland. I never graduated. Although I was a voracious reader, I never thought I was one for school,” he continues. So instead of heading to college, he decided to enlist in the Marine Corps. Soon, Terry decided to go back to school, and decided to employ the same strategy that he’d learned so well during his time in the Corps. “Starting college, I refused to quit or even miss an assignment. Never really believing I’d finish, my personal rule was simply never to quit. I made the decision to fail before I ever quit,” he explains. The strategy paid off. Terry earned a degree in finance, and with his confidence boosted, “I decided to go for broke and take my best shot at law school,” he says. This decision was sound enough, yet Terry still found a way to improve upon it by logging hours watching trials and trial attorneys in particular. Casey was agreeable to having Terry come and work with him, and Terry dove into the work with gusto. The internship quickly became a paid position. Because he was attending law school full time, and putting in a minimum of 40 hours a week at Casey’s firm, Terry got used to late hours at the office. Having worked for Casey throughout law school, Terry was already in the thick of DUI defense. He’d begun arguing DMV administrative hearings daily, cross-examining dozens of police officers & civilian witnesses every month. As he sharpened his advocacy skills, he began winning DMV hearings that many considered lost causes. For his part, Terry can see why people automatically assume the DMV hearing is an exercise in futility. “Less than 8% of DMV hearings are won each year,” he says. However, because he’d rather fail than not fight, Terry’s personal rate of success for clients is “3 or 4 times higher than that” due to the preparation he puts into these hearings. “Win or lose, if you use the DMV hearing properly - taking the effort and expense to subpoena the arresting officer for testimony, that effort significantly increases your clients’ chances of winning at trial,” Terry says. For Terry, who planned to be taking plenty of cases to trial, this burgeoning expertise would serve him and his clients very well in the future. In fact, as word of his successes in DMV hearings began to spread, outside firms began approaching him to train their own employees, and still others hired him to argue on the behalf of their clients on a per-hearing basis. Terry had begun making a name for himself. His forward momentum in the field of DUI defense continued to gain steam due to his excellence in oral advocacy. He was certified by the State Bar under the PTLS program; he was successfully arguing multiple motions to suppress evidence which resulted in full dismissals; he was even arguing before the Court of Appeals, on the same day he learned he’d passed the California bar. He second chaired multiple DUI trials with Casey, including vehicular manslaughter trials. Four months after becoming a lawyer, he was rewarded with a partnership at Casey’s firm. 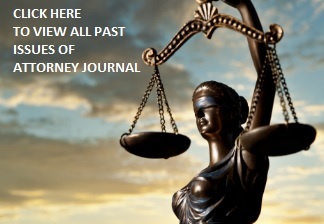 Terry learned a great deal from the legendary trial lawyers who came before him. Aside from simple inspiration, much of what he has learned and continues to learn has shaped his current professional philosophy. “I attended a seminar where attorney Mike Tigar was speaking. I’ll never forget something he said. ‘Most lawyers negotiate first, then prep for trial. I think that’s backwards. I prepare for trial… and then begin to negotiate. What a concept.’ Those words struck me. I decided then and there that I would prepare every single case as if it were going to trial first, and then negotiate,” Terry says. With his long history of sticking to his guns, it’s not surprising that Terry continues to abide by this professional principle. Moreover, he’s utilized his rigorous self-discipline to create other guiding principles for his practice. “Nobody is going to outwork me. This has been said before, but this is my core belief. People may be more talented than me, they may even beat me in trial, but they will not outwork me,” he says. Whether that means he’s in the office until daybreak, or he’s taking on a case with 14 hours notice before jury selection (a case in which he hung the jury on all counts), Terry will not shy away from hard work and long hours. Likewise he will never pass up any opportunity to learn more, whether that comes from additional training, from reading, or from looking to his idols. He answered ready for seven trials in 2010, all DUI’s. He readily admits he lost two. The other five ended without a single conviction of DUI on any count – including a 2nd offense DUI allegation – with a hit and run; verdict of not guilty on all counts. “Cole happened to be in the courthouse on another matter that day and it was pretty cool to turn around and see him smiling proudly.” He capped off 2010 with an appeal that overturned a DUI conviction, based on a 4th Amendment challenge to the detention. “I want to be like that. I’ve got one life to live and I just want to do something worthwhile, something extraordinary,” he says. For him, that means defending those who have also found themselves in over their heads, ashamed and remorseful. “The people I defend are by and large good people. They are professional people with good values, are often extraordinary citizens who participate in lots of extracurricular activities for the good of the community. I see them when they come in, and they have generally always learned their lesson, and now need someone to help them. I’m going to do whatever it takes to help them,” he says. To the good fortune of his clients, Terry is more than happy to help, because he enjoys what he does so much. “Winning is addictive,” he says simply. While he loves to win at trial, he admits that he doesn’t get to go to trial as often as he’d like due to pretrial maneuvering, causing a case to settle for significantly reduced charges. He sheepishly admits to calling for prosecutorial misconduct in one particular case, which admittedly “ruffled some feathers.” But he makes no apologies for upsetting opposing counsel when it comes to saving his clients. Perhaps it is precisely this willingness to go the extra mile that has earned Terry a tangible acknowledgement as a rising star in the field of DUI defense. At just 35 years old, in January of 2012, he was awarded the position of State Delegate for California representing the National College of DUI Defense, an honor bestowed upon only one attorney per state. This year he also launched his own practice, The Law Offices Of Matthew Terry, A.P.L.C. As Terry’s star continues to rise, he remains steadfastly committed to the principles that have proven so profound in his career thus far. By looking to the life work of attorneys he admires, by continuing to study concepts of law, by welcoming hard work, and by always preparing for a fight, Terry’s main objective is to further mastery of his craft. “To master your craft, to be the absolute best lawyer you can be, you have to get in the fight,” he says. “The skill and determination on the prosecuting side of the courtroom is second to none. If you are a defense attorney in San Diego, representing a client accused of DUI — and you try cases with any sense of regularity, you know one thing to be true: a defense attorney that is almost as prepared as a prosecutor will lose every time. Regardless of innocence or guilt. But here’s the second part: if you are a DUI defense attorney going to trial in San Diego County, and you are equally prepared and as practiced as the prosecutor across from you, you will lose every time. Regardless of innocence or guilt. Spoken like a true idol for future attorneys, wouldn’t you say? Law Offices of Matthew Terry, A.P.L.C.